Bauchi State University (BASUG) UTME and Direct Entry Admission and Physical Screening List, Screening Dates, Time and Venue for 2018/2019 Academic Session. All candidates that applied for admission into the Bauchi State University (BASUG) 2018/2019 academic session Post UTME screening exercise that the management has released the names of candidates to present themselves for physical screening at the designated campuses. While the Supplementary Admission List Batch Physical screening exercise commences on Tuesday, 24th October 2018 to Friday, 2nd November 2018. Final Batch Admission List Candidates Screening comes up from Tuesday, 30th October 2018 to Wednesday, 31st October 2018. Supplementary Final Admitted Candidates screening comes up from Thursday, 8th November 2018 to Monday, 12th November 2018. 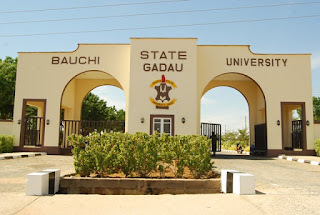 Bauchi State University, Gadau hereby invites all admitted Merit/1st Batch , Supplementary Batch and Final Batch candidates for physical screening. NB: All candidates must come along with originals and photocopies of their credentials for the screening exercise.